I was asked to present this award, I think, early this morning. They told me – don’t worry, they’ll write something for me to say. And I’m going to read for you what they wrote for me – this is wonderful. They wrote: What is a Cartoonist? . And they wrote under that: Ty Answers. Basically, we’re living in a world where deadlines suggest that we have to we have to collaborate with other people. 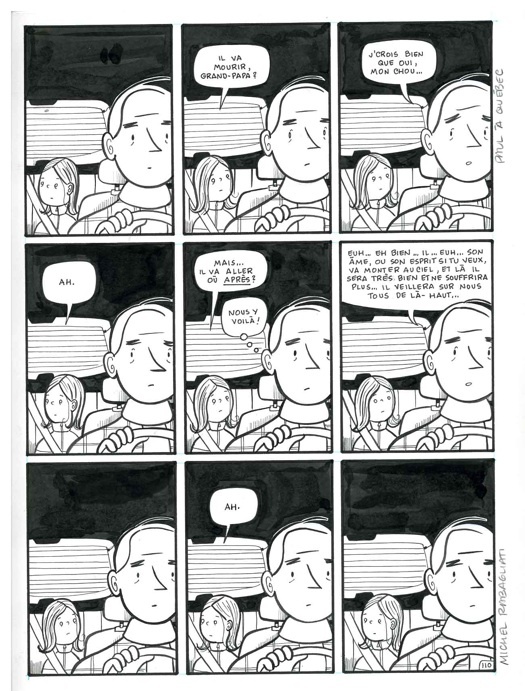 That we have to use the craft and intelligence and the oversight of another collaborator to create great comics. The thing that we know first and foremost about cartoonists is that they don’t get along with anybody – because they’re not willing to work with other cartoonists. And basically that means they have no social skills at all. They spend all of their time in a basement studio or in the attic, because we do not work on the ground floor! And, eventually, our abilities to interact with other people atrophies so badly where we’re sort of forced into cartooning because it’s either that or Una-bombing. I can’t speak about the rest, but I’m not good with wiring. So, I’m assuming that is why these people became cartoonists, because it was either that or just killing people through the mail. What makes a cartoonist interesting is that very thing – that they do not collaborate – they write it and draw it together. There is no one around to say “don’t do that”, “that’s a little too rough-edged”, “that’s too kooky”, or “that’s too weird”. And so as a result, you get stuff that is unlike any other forms of comics, because these are being created by people don’t have someone looking over their shoulder, and don’t want someone there. These artists don’t want your help; they know what they’re doing. And as a result, you get stuff that is either spectacularly awful or spectacularly interesting. But in every case, what you get is singular and unique because there is nobody pitching in to soften or to round off the edges. I’m going to read you the name of the winner – because they did give me that! I was told that this was the most difficult choice they had to make all year – two of the members of the panel were killed in the arguing! 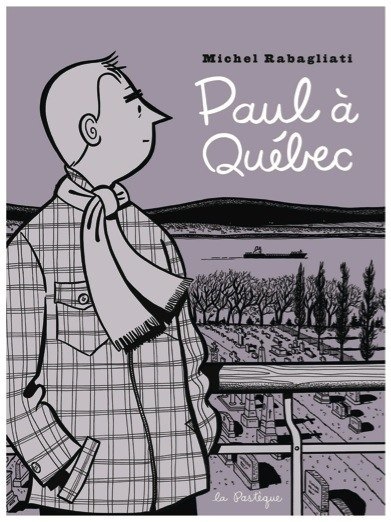 But the winner they did come up with was Michel Rabagliati for Paul tome 6: Paul à Québec. 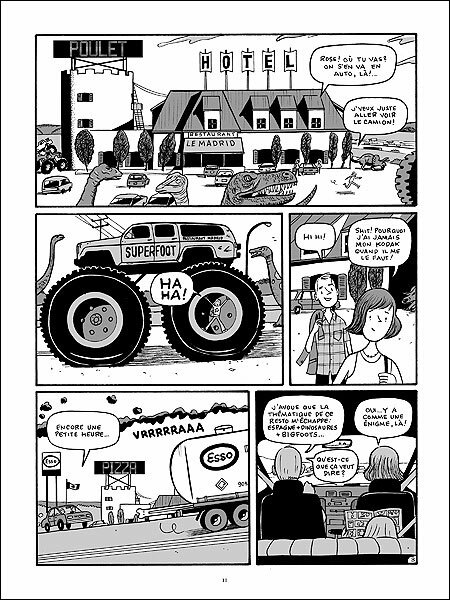 Eric Bouchard – Rabagliati has never been so fully in possession of his graphic storytelling abilities — he pushes himself and succeed with plenty of graphic tricks, and knows how to drive a reader and push the right buttons. This is a superb drama which conveys to you a broad gamut of feelings. 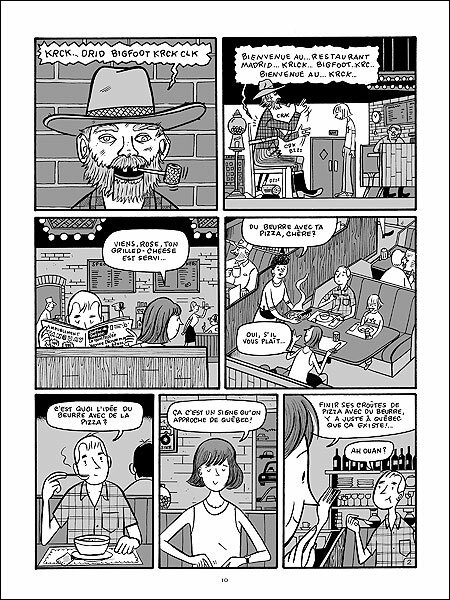 Patrick Berube – With this sixth volume, I really do feel like the cartoonist is at the top of his game. I really thought that it would be hard for him to do something better than Paul Goes Fishing but I think he did it. The story does not stray as it did in previous volumes and he cleverly uses the passing of time to strengthen the pacing of the plot. I really believe that stories with universal appeal often take place in settings local or dear to the author (which is the case here). As for the visuals, he uses realistic backgrounds coupled with slightly more cartoony characters to great effect. I think it makes the strong story of family relationships in the face of tragedy even more engaging than it already is. That’s pretty high praise, and I think he deserves it. Congratulations Michel! The award was accepted on Michel’s behalf by Ethan Rilly, winner of the Gene Day Award earlier in the evening. Ethan Rilly: I think that Michel Rabagliati is a grand slam. He is a masterful storyteller. He has this beautiful, clear visual style, and he has economic and expressive brush lines. Also, his Paul books are bursting with earnestness and humour and charm and wit. I am looking forward to bringing this back to Montreal to give to Michel. 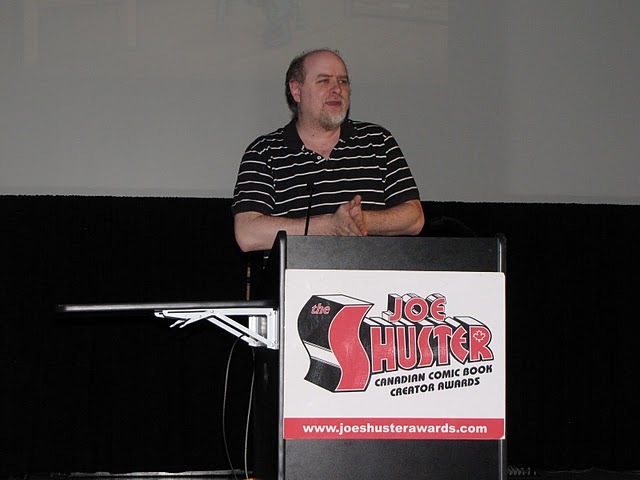 I’m sure that if Michel were here he would give a very sincere thanks to his excellent Quebec-based publisher La Pastèque, and to the Joe Shuster Awards nominating committee and the jury that selected him… Thank you. Michel Rabagliati and the original cover art - from Le Soleil. 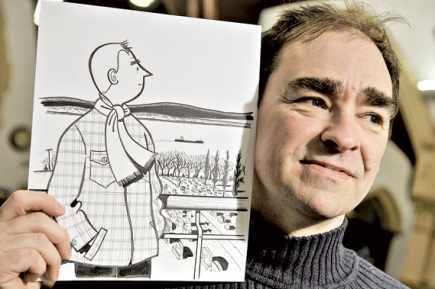 Like many kids in North America, Michel Rabagliati grew up reading comic books, but since he was born in 1961 in Montreal, instead of reading The Hulk or Superman, he was immersed in all the major comic albums being published in Belgium and France: Tintin, Spirou, Gaston, and of course Asterix, among others. 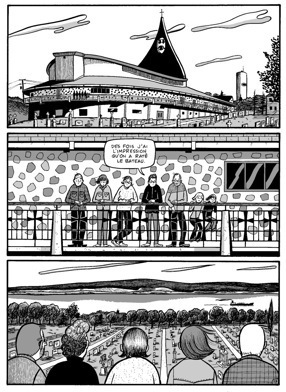 Rabagliati faithfully subscribed to all the European comics magazines, and he would copy his favorite artists, writing and drawing his own comic strips and quickly forgetting them in a drawer. By the mid 1970s his interests turned toward graphic design and after studying this and typography, he became a graphic designer and commercial illustrator in 1982. His illustrations have since appeared in The Wall Street Journal, The Chicago Tribune, The Utne Reader, The Advocate, The National Post, Maclean’s and Canadian Business. Nearly a decade later in 1990, Rabagliati was asked to design a logo for the new comics publisher Drawn & Quarterly and he encountered a whole new world of comics publishing in English. Interested in comics again, he began seeking out comics in French and English and it wasn’t long before he was writing and drawing his own comics again. In 1999, at 36, Rabagliati had his first comic book published by the Montreal publisher La Pastèque, which was translated the following year as Paul in the Country by D+Q, earning him a Harvey Award for Best New Talent. 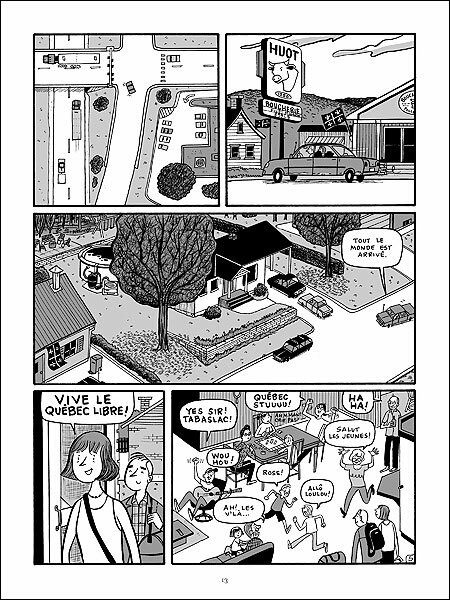 In 2003, D+Q published the English translation of Michel’s first full-length original graphic novel, Paul Has A Summer Job, followed by Paul Moves Out (2005), and Paul Goes Fishing (2008). Michel Rabagliati lives in Montreal with his partner and daughter.